My kid is a geography nut. I mean, not to brag, but at just four years old he was able to correctly place every state on the Stack the States game without a single strike (with a little prompting from Grandma). He loves maps, and globes, and he loves to watch the blue dot moving on the Google Earth app while we’re driving to school. 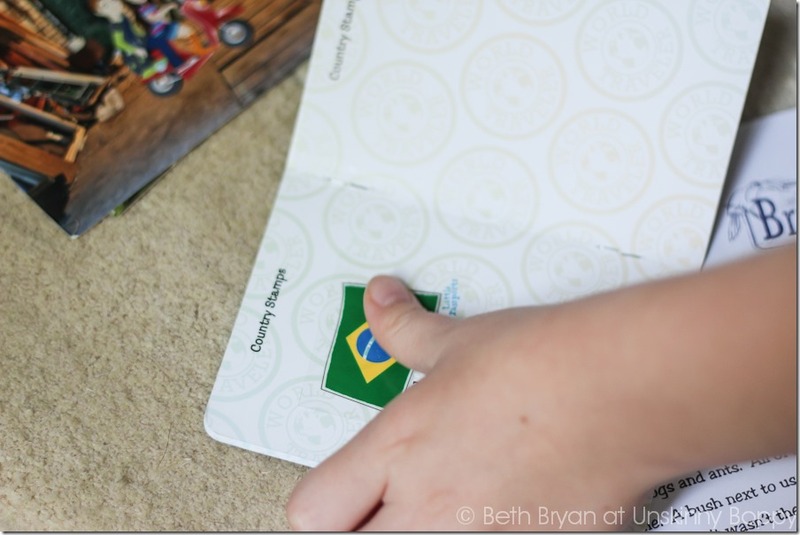 So when I found this FUN monthly subscription for kids called Little Passports, I was like PERFECTO. I knew Garrett would absolutely love it. Learning toys are always a bonus in my book. 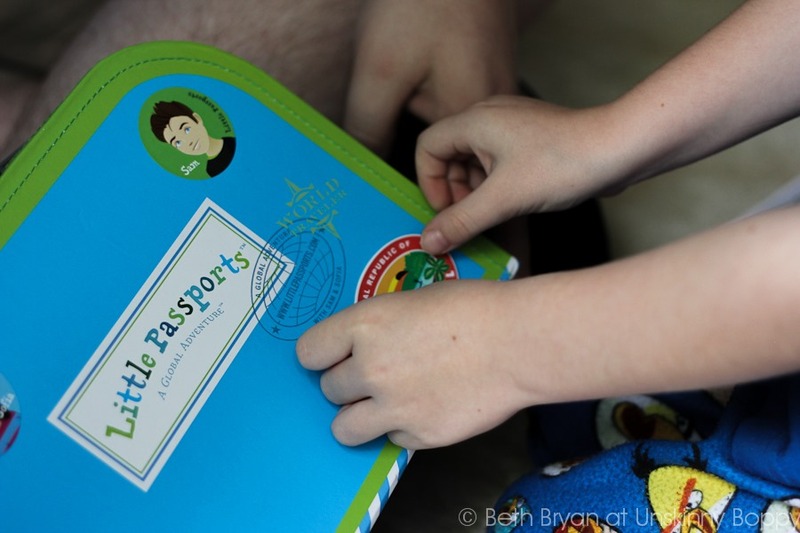 The first month of our subscription we got the cute signature blue and green Little Passports suitcase, a big world map and a Passport, (which G calls a “trespass”) along with an activity sheet, stickers and all the information about Sam and Sofia, two kids traveling the world on a magic scooter. Sam and Sofia are like this generation’s equivalent to a certain cartoon character that rhymes with Schmarmen Schmandiego. This month Sam and Sofia traveled to Brazil! 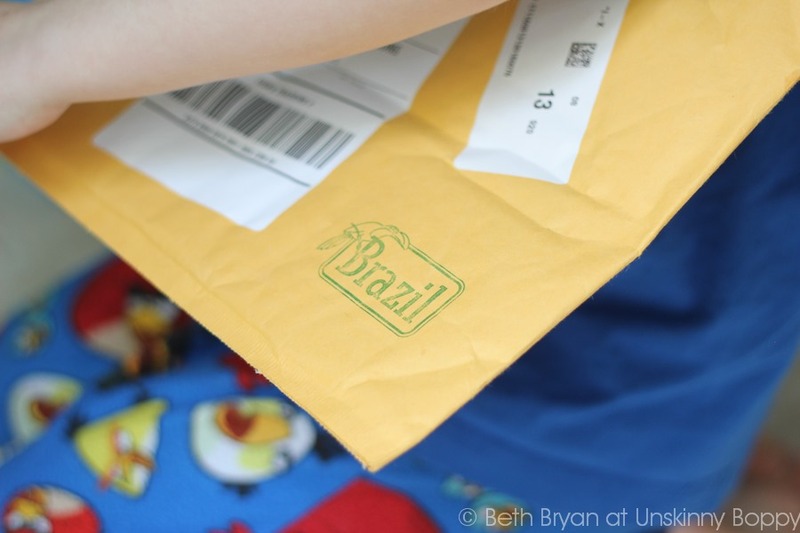 What kid doesn’t love getting packages in the mail, especially ones stamped from foreign countries? G was pretty stoked about it! 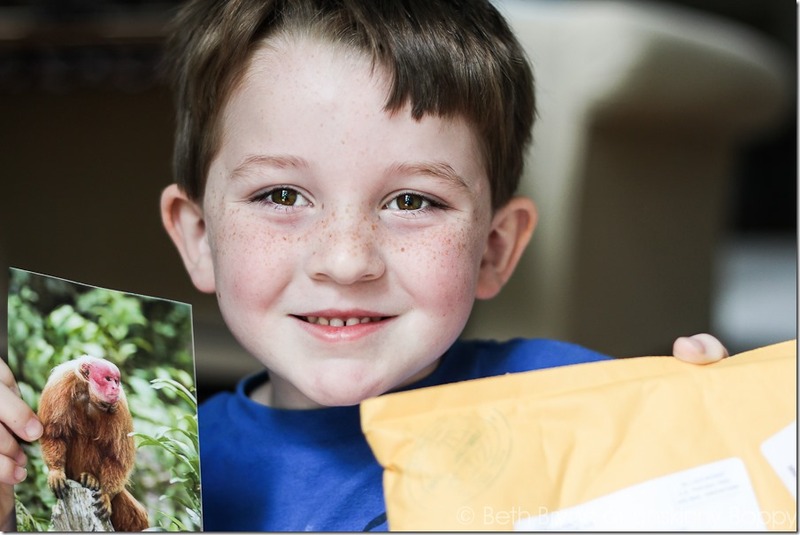 The package included a picture that Sam and Sofia had taken of a monkey on the endangered species list that they rescued from a poacher by hiding him in an amethyst mine. 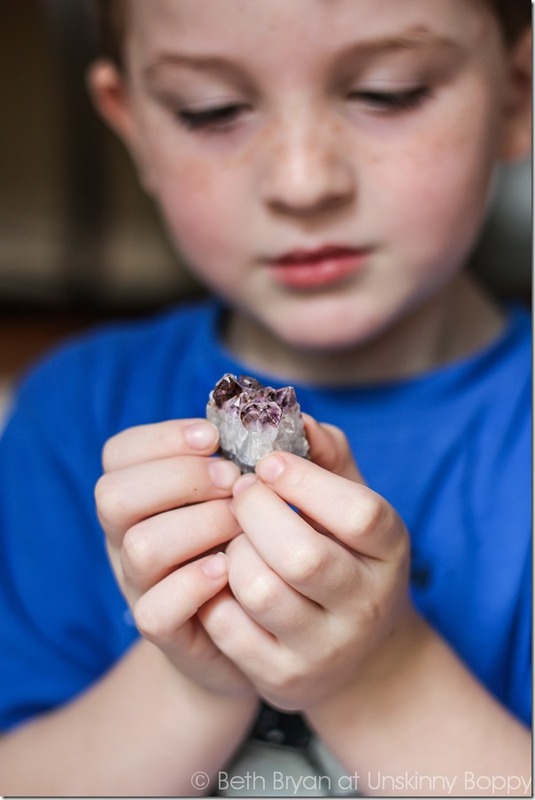 THEN he discovered this awesome chunk of mined amethyst inside the package. Since Garrett’s birthstone is an amethyst he assumed they sent this amethyst especially for his birth month, even though it was a total coincidence. Also coincidental? That soccer t-shirt. He was so excited about getting some “precious jewels” in the mail! Check out his chunk of geode that is straight from the Brazilian amethyst mine. and a Brazilian flag sticker for his passport! We chose the Little Passports World Plan since it was most suited for G’s age group ( 5 to 10 years old), but they also offer a USA Edition that highlights the states (recommended for 7-12 years old). Once he gets a little older we will definitely get the USA edition! 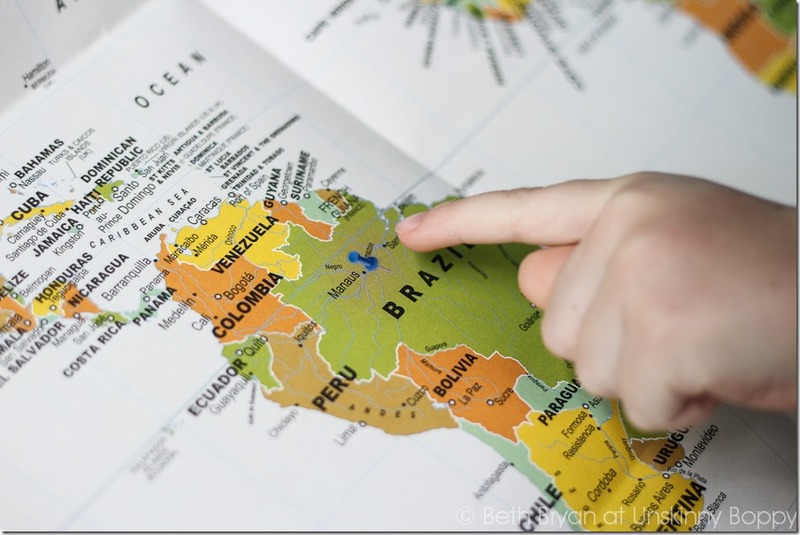 Either way you cannot lose with this fun geography lesson. Garrett is PUMPED to get the mail now, excited for the next package to arrive from Sam and Sofia. 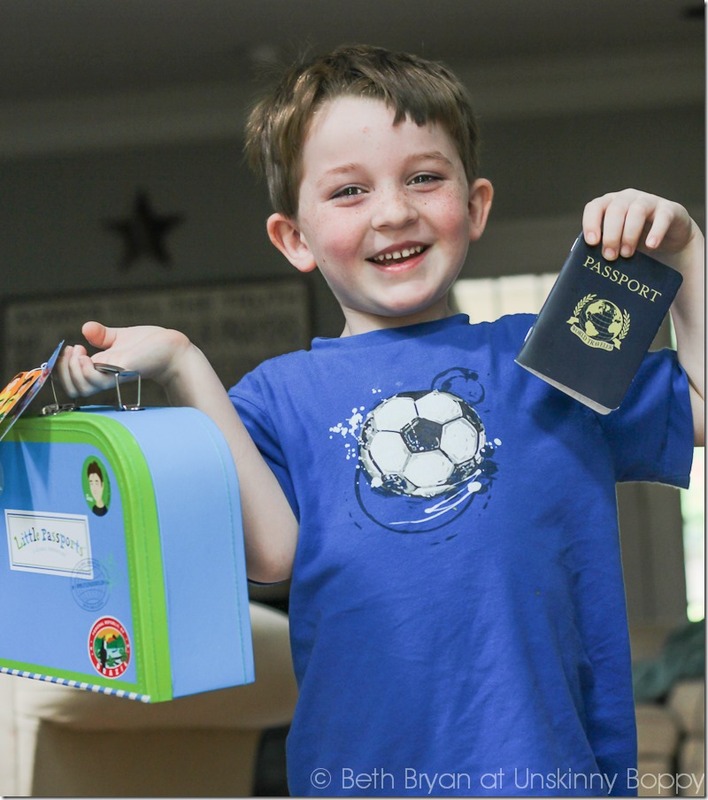 If your kid loves learning about new and exotic places, a Little Passports subscription is going to be a huge hit. What an excellent Christmas or Birthday gift idea this would make for your child, grandchild or relative! Disclosure: I was given a free subscription to Little Passports for Garrett and me to review it for my blog. I was not compensated for this review, so as usual, all opinions are 100% my own! This post contains affiliate links, so if you would like to support my blog I would really appreciate you ordering from the links above. Thanks! This looks like so much fun! Like getting to go on a little trip just by heading to the mailbox! This looks so awesome! My kids would flip over this, let alone anything that comes in the mail with their name on it. I’m checking this out. It would be great to add to our homeschool curriculum. Now I have the entire Carmen San Diego theme song in my head. Thanks for that. What a fun idea! I remember getting books in the mail that were stored in a school bus shaped box when I was little. But this passport is WAY more fun and looks like it is perfect for your little guy! what a cool way to learn!!! love it and great pix! 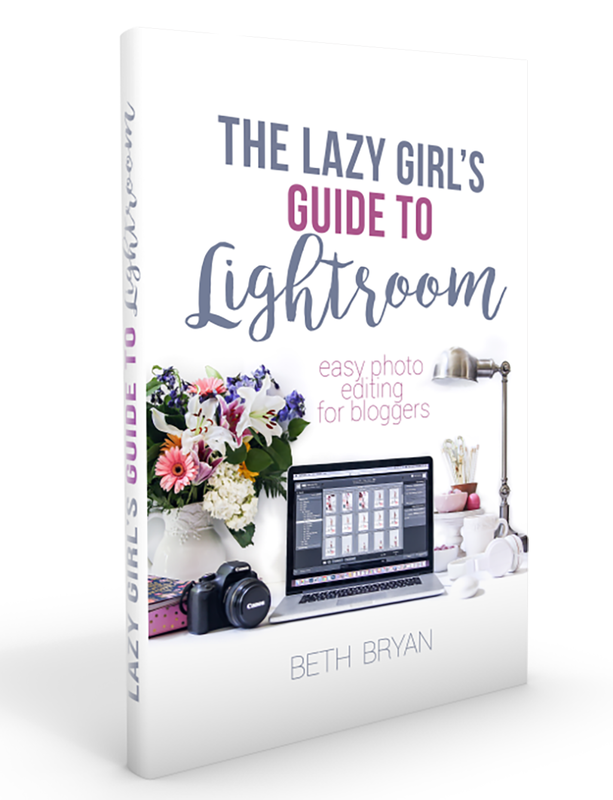 Beth, I LOVE this idea! 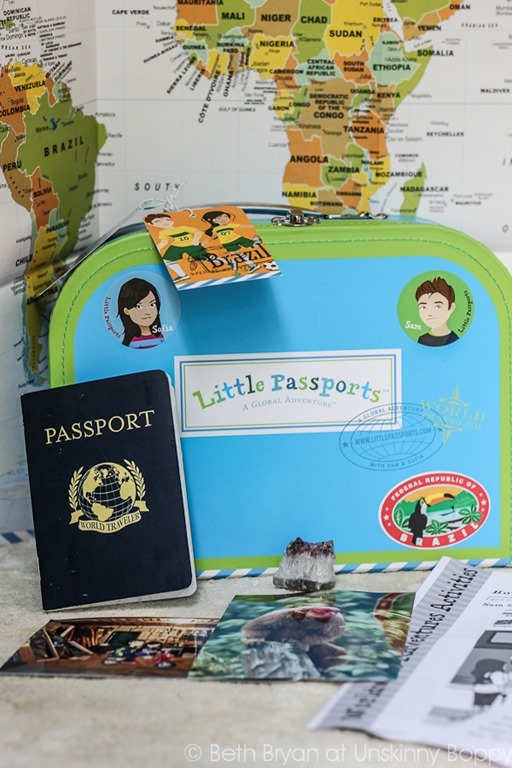 I’ve heard of Little Passports but until now didn’t understand what it was. My kids are obsessed with maps, we love watching the GPS and also scoping out states on Google maps. Thanks for the review, now I know what to ask Grandma to get the kids for Christmas! This is so cool! Seriously is there an age limit for this because I want to do this for myself! Jack would so have to fight me to put the stickers on that suitcase! I want one! Aw! Wish I was a kid again!! What a fun idea!! Pinned!